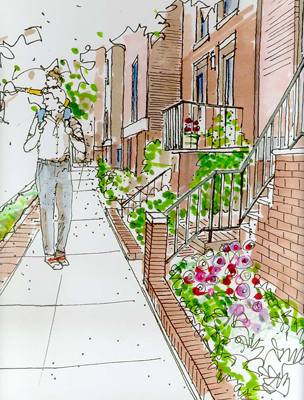 Program: Prepare the strategic land use and action plan for the federally designated downtown Baltimore neighborhood of Poppleton. 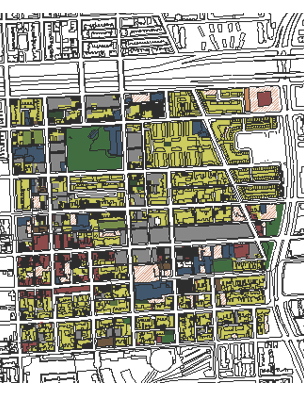 The Poppleton area includes three historic districts, a new public housing HOPE VI redevelopment, the campus of the University of Maryland at Baltimore, a main street type commercial spine, a public market, two housing coops and several light industrial properties. 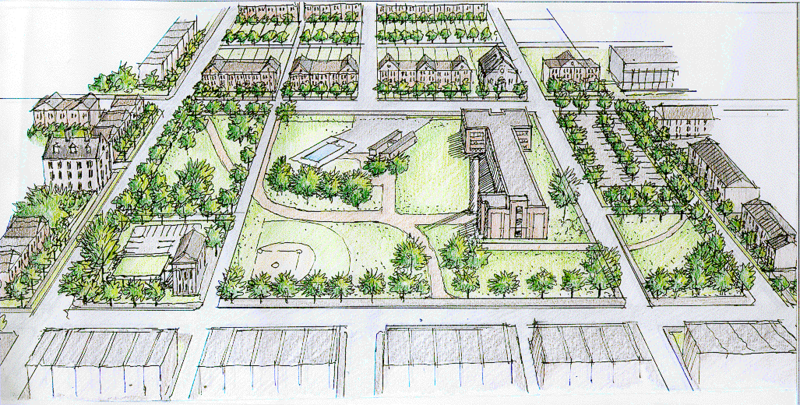 The area has lost population and is impacted by a large number of vacant lots and rowhouses. Design Approach: ArchPlan collected and surveyed the existing conditions including demographic data and trends and derived patterns, areas of strength and mapped problems. From it goals and objectives were developed leading to action plans prioritizing key catalytic projects for public/private investments, initially with subsidies. The housing action plan builds on areas of initial strength. The retail action plan proposes concentration of retail in a smaller area around and near the market and supported by an entertainment and restaurant component, which would be supported by nearby downtown and attractions such as the B&O museum. A major infusion of demand for commercial space and housing is expected from the continuing expansion of the University of Maryland at Baltimore at the downtown edge of the area and a planned research park. The final report is supported with many maps, photos of precedents and renderings of possible solutions. 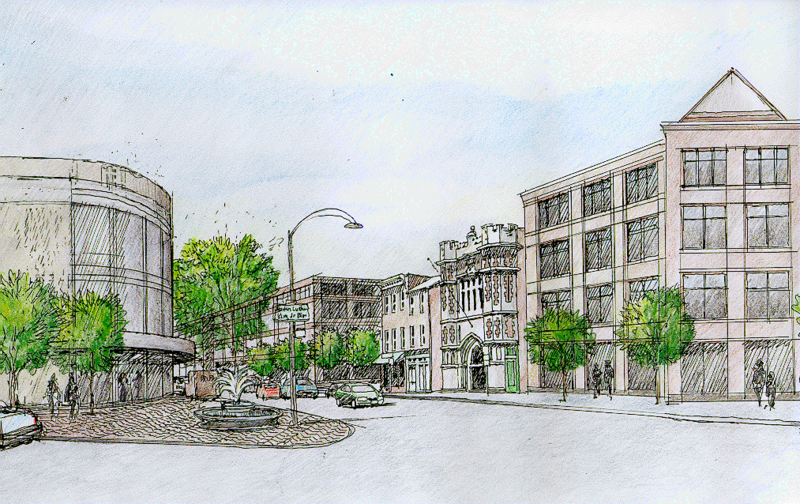 Responsibilities: ArchPlan was the lead consultant with Hammer, Siler, George as the economic development consultant. The work program includes zoning and existing conditions analysis, identification of development opportunities, action plans for housing, institutions, open spaces and commercial/retail and community input and consensus building.